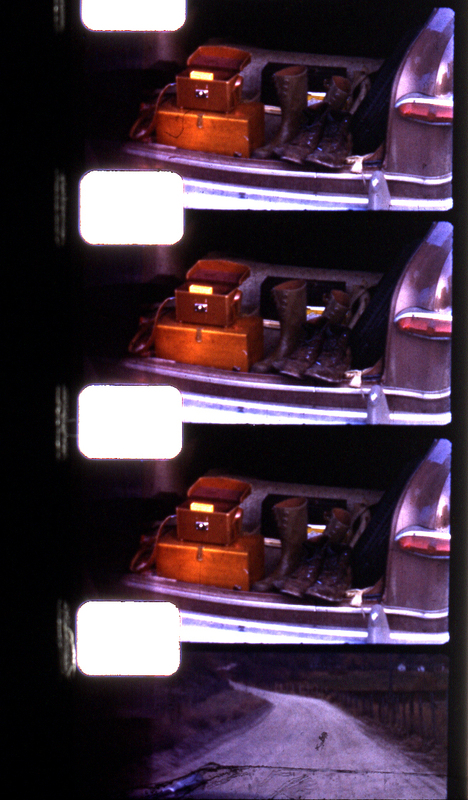 Eva Teppe has also amassed numerous old Super 8 and 16mm films which she uses as found footage in some of her artistic work. The focus of her activity lies on processing this film and video material in a variety of ways and transforming the results into spatial mises-en-scène. 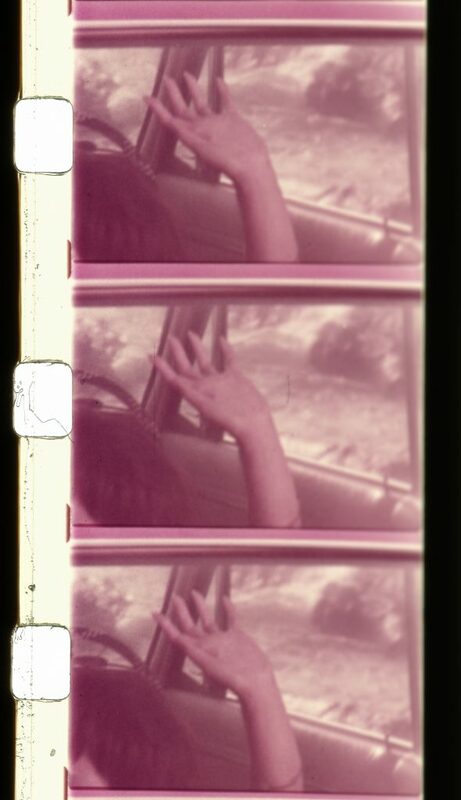 The first piece she based on old Super 8 amateur film footage was titled Private Matter #1, made in 1999. A small sheet of squared paper is suspended from the ceiling on nylon threads. Projected onto the paper are moving images she happened to find at a flea market. They show a man and a woman who are running across a meadow, stop, come closer and then touch each other. What are they doing? Is this a love scene? Or some kind of game? The situation suddenly assumes a menacing air. Is the couple arguing? Or is even some kind of crime taking place? We never find out – and neither is this Eva Teppe’s concern. Unlike in TV or cinema documentaries, her found footage is not intended to serve as authentic evidence underlining the credibility of what is being reported on. 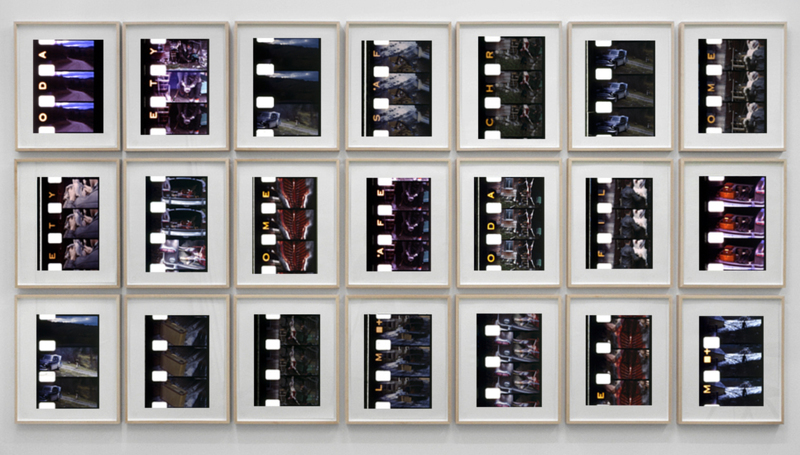 Instead, the artist treats the material more in the way found footage is used in feature films and experimental movies. 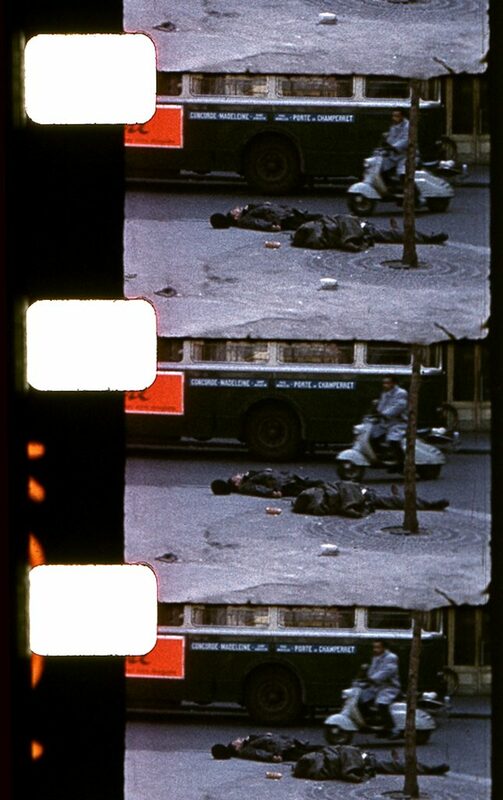 When employed in the context of film collage or montage techniques, it can be implemented as a quotation from ‘real life’ to heighten the illusionism of narrative fiction or, equally, to disturb the narrative flow. Furthermore, found footage is predestined as a means for critically questioning the purported objectivity of documentarist strategies and for highlighting their aesthetic and subjective potential. Just how found footage is perceived and interpreted in any particular situation depends on the degree to which the material is processed and, above all, on the context in which the material is placed. 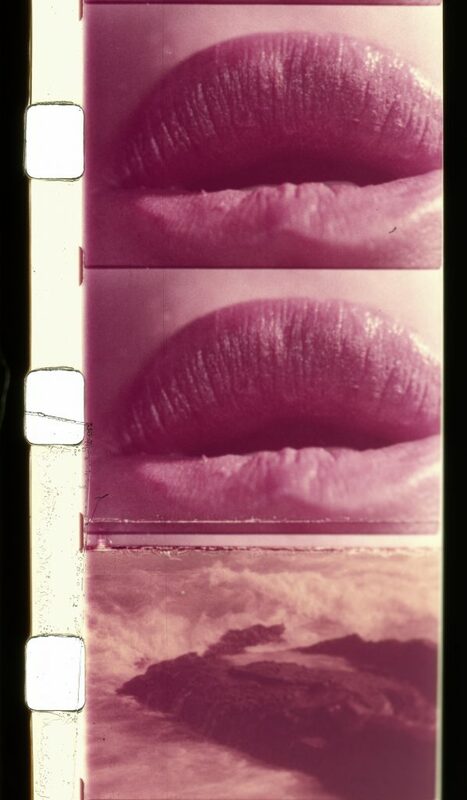 The precise form of manipulation Eva Teppe performed on the film fragment used in Private Matter #1 consisted in fully re-editing it and turning it into a loop. The new setting for this section of found footage is not some larger cinematic context but a scrupulously designed spatial ambience. As in many of the artist’s works, the technical equipment used for its presentation forms a consciously visible element of the piece – in the case of Private Matter #1 this consists of a video projector mounted on a tripod and the sheet of squared paper hanging from the ceiling. But the behaviour of the viewers in the room also acts as a component of her installation. By walking around the freely hanging sheet of paper, visitors create a draft which causes the paper to gently flatter. As a result the projected image sporadically goes out of focus or slips marginally ‘out of the frame’. This emphasis upon the paper’s material quality – its lightness – lends the image an affinity to a drawing or a sketch. But the image also assumes a spatial dimension, allowing the entire ensemble to be viewed almost as a floating sculpture. As in Private Matter #2, in which a young couple in a snowscape seems involved in behaviour oscillating ambiguously between play and mutual threat, Eva Teppe explores lightness and heaviness almost like aggregate states, yet without barely altering the sequence of the film. 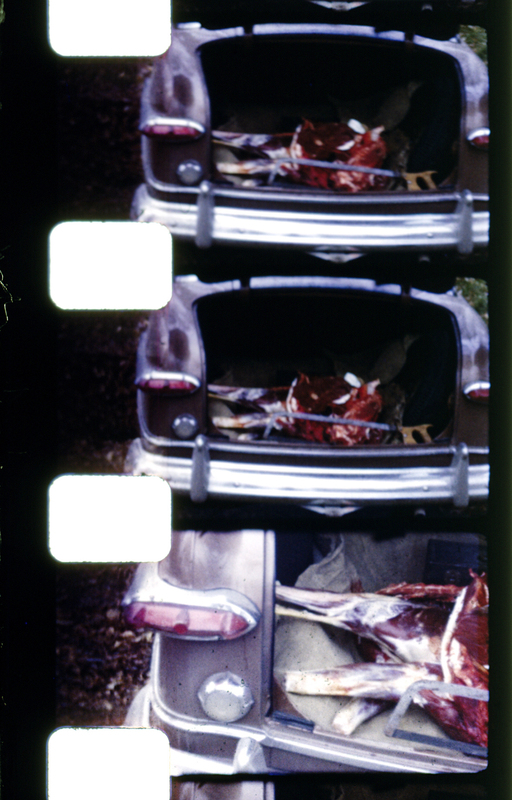 Some of Eva Teppe’s found film fragments have also led to photographic works. 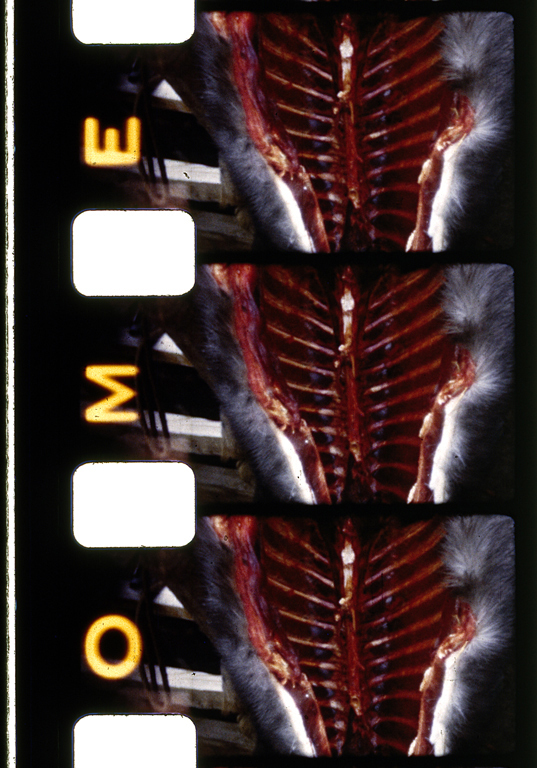 Paralysis is a ten-part photo series based on sections and snippets of 16mm film, from which she has created a new configuration. The black-and-white images show a man in a bedroom hopping and rolling around on his bed, before he then wraps himself in a blanket and finally slumps into a heap. This sequence is as bereft of a decipherable plot as is Private Matter, even if it evokes associations with slapstick comedies and grotesques. The Photographic series consists of Photo Prints of a private Found Footage Super 8 Amateur film titled Sleeping child from the early 70s. 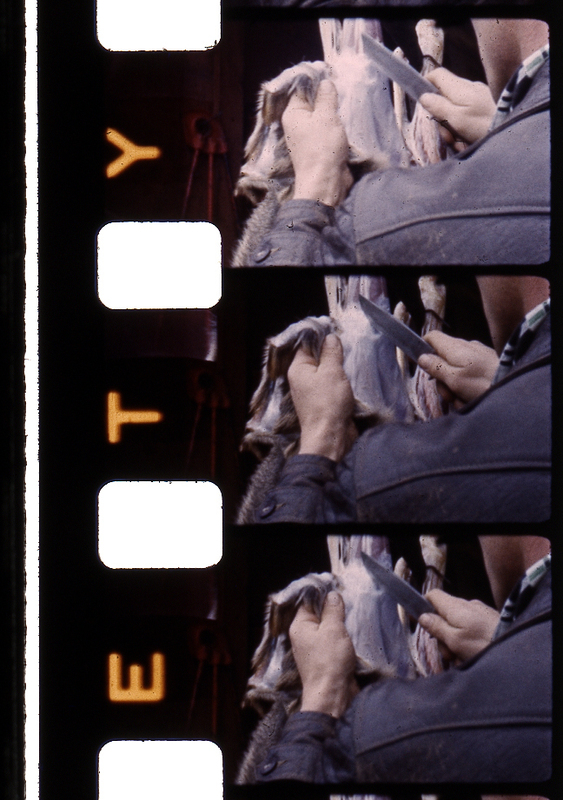 The selected scenes depicting the bloody procedure of a hunt and freshly skinned deer. Research about the found footage film: Sleeping child Road is a very long street in Hamilton, Montana USA which leads through Montana´s Hunting and Fishing territory. In this areas true Montana natives inviting paying guests and providing them as they promise with “memories that last a lifetime.” As well are they committed to provide a successful hunting experience and to help the guest in the pursuit to take home a trophy of a hunted and killed animal: Bear, Deer, Elk and others. The film reel was shown at the Home Movie Day at the Anthology Film Archive in New York City.